FREQUENTLY ASKED QUESTIONS Get the info to properly care for your car. Learn everything you need to know to keep your car running with these helpful FAQ's from A-1 Automatic Transmission. Answer all your pressing car care questions. Q: I see an oil leak. Can I wait to get it repaired? A: A leam from your transmission requires immediate attention. The transmission fluid is vital to keeping your transmission running cool and to keep the internal parts lubriated and running smoothly. If you see more than a "softball" sized puddle under your car, call us first before driving it any further. Catching and fixing a leak on your transmission can save you a major repair. Q: My car won't move. Do I need an overhaul? A: If when you put the car in gear, nothing happnes, it is certainly a sign that there is a problem with your transmission. 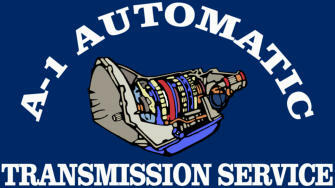 Because many transmissions are controlled by computer electronics, it does not mean an overhaul or replacement transmission is the solution. Q: Should I repair or replace the transmission? A: Deciding on which would be better for you depends on what is wrong with the transmission you have. If your transmission can be repaired with a minor repair or overhaul, it can be more cost effective than replacing your transmission. We can help you make the best choice possible after we inspect your transmission. Q: My dash has a warning light on. What does that mean? A: There are a wide variety of warning lights on different vehicles. Even if the car seems to be driving normally, a warning light is not to be ignored. Your on-board computer system is telling you there is a problem in the system. Taking action and getting the problem diagnosed and repaired early can save you from a major repair. Q: How long does it take to get a diagnosis? A: For most problems, we can have an answer for you in just a couple hours. Some computer and electrical issues can take more time to pinpoint. To help you save time, we can schedule your visit and have you on your way quickly.